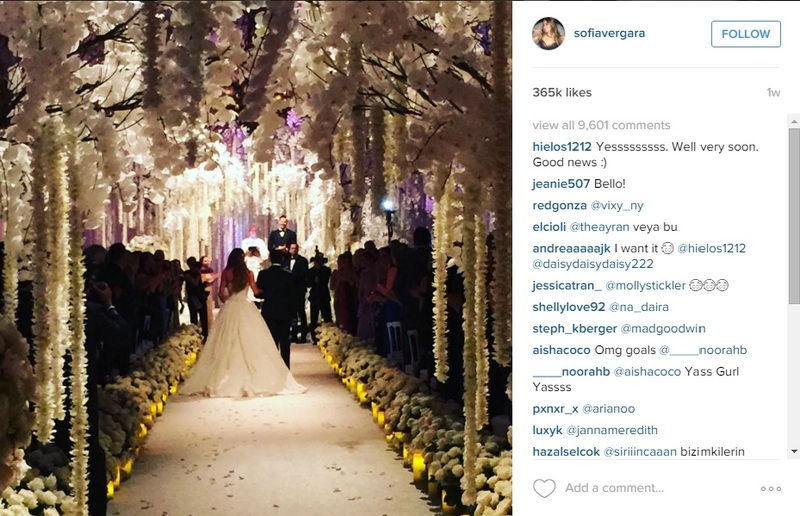 The Fourth component to a fabulous celebrity style wedding is the abundance of flowers. 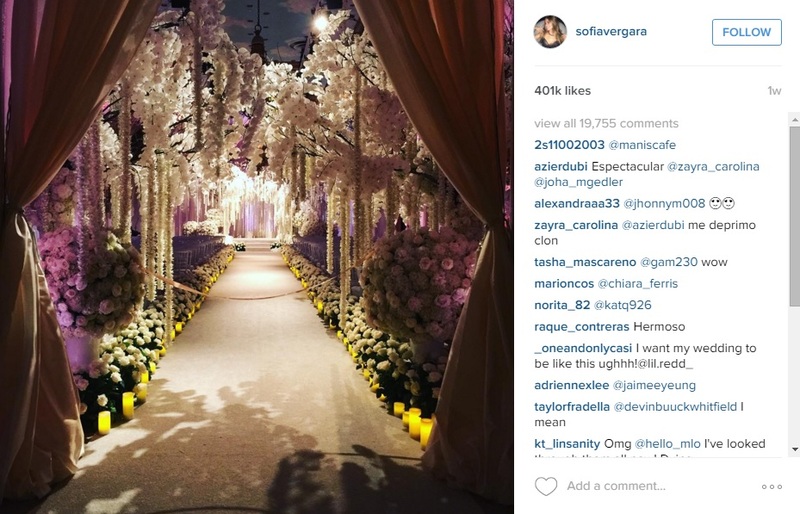 There was no shortage of blooms at Sofia Vergara and Joe Manganiello’s Wedding. 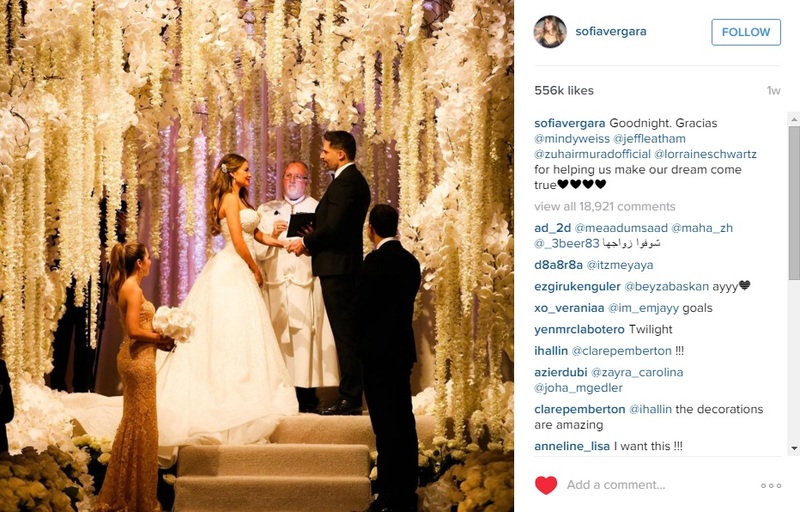 Here are photos from Sofia’s Instagram feed of the ceremony area. The weddings ceremony in the ballroom was filled with white orchids, roses, strands of floral blooms and hydrangeas. Jeff Latham was the designer of this exquisite affair. The wedding reception featured hot pinks and reds to change up the mood of the celebrations. Tables for the guests were graced with tall and short centrepieces interspersed with candelabras and votive candles. Gold was the featured accent colour in the rim of the stemware and china. They used a combination of chiavari chairs and oval back chairs, and also draped the perimeter of the ballroom. Do you love the switch in colour scheme from wedding ceremony to wedding reception? Please let us know what you think about their choice of colours for their wedding by commenting below.